This Homemade Clay Facial Cleanser Recipe is a face scrub and cleanser all in one and great for all skin types. It’s an easy DIY recipe that deep cleans, unclogs pores, gently exfoliates and calms acne, redness and inflammation. Gentle enough for daily use. Expect a healthy, radiant glow after the very first use! Skincare products containing clay are all the rage right now and for good reason! Clay has the unique ability to naturally deep clean and unclog pores, giving you one of the best deep cleanings you can get. Clay gently exfoliates and penetrates deep into the skin to act like a magnet for toxins and impurities (making it especially effective for acne prone skin!). It also promotes circulation which helps with healthy cell turnover. After using this Homemade Clay Facial Cleanser recipe, you’ll discover a healthy, radiant glow….even after the very first use. Over time, you can expect healthy, glowing, blemish-free, balanced skin! I’ve been a fan of homemade clay masks for years, but never tried using clay as a daily cleanser until a few months ago. And now I can attest that it’s just as awesome as a cleanser and gentle exfoliator as it is a mask! My skin has been absolutely loving this recipe! This Homemade Clay Facial Cleanser recipe is a clay cleanser PLUS a gentle daily exfoliator all in one. Gentle, daily exfoliation also removes the top layer of dead skin cells making skin brighter and also helping other beauty products like serums and moisturizers work much more effectively. This DIY clay cleanser recipe is gentle enough to use daily. It’s powerful, yet it won’t strip or over dry the skin. In fact, this cleanser is quite moisturizing and nourishing, especially when mixed with the rosehip oil. Rosehip oil is so good for the skin! It’s well tolerated by all skin types, even oily skin because it helps regulate natural sebum production. In other words, I think rosehip oil is the bomb and I can’t say enough great stuff about it for skin health. I’ve tried a few different rosehip oils over the years, but I keep going back to THIS one. It seems to be the freshest, best quality one I’ve tried so far. Which type of clay is best for my skin? For this Homemade Facial Clay Cleanser Recipe, I recommend choosing between 2 different clays depending on your skin type: Bentonite Clay (sometimes called Healing Clay) or Kaolin Clay. Bentonite Clay / Healing Clay is the best choice for most skin types. It’s the most powerful, deep cleansing clay and is especially great for acne-prone, oily, combination or normal skin. I have normal skin and bentonite clay is the type of clay that I use. THIS is the specific one I use. However, for sensitive, dry or mature skin types you’ll definitely want to use Kaolin clay instead of Bentonite Clay. Kaolin clay is the gentlest clay. You can find it HERE. 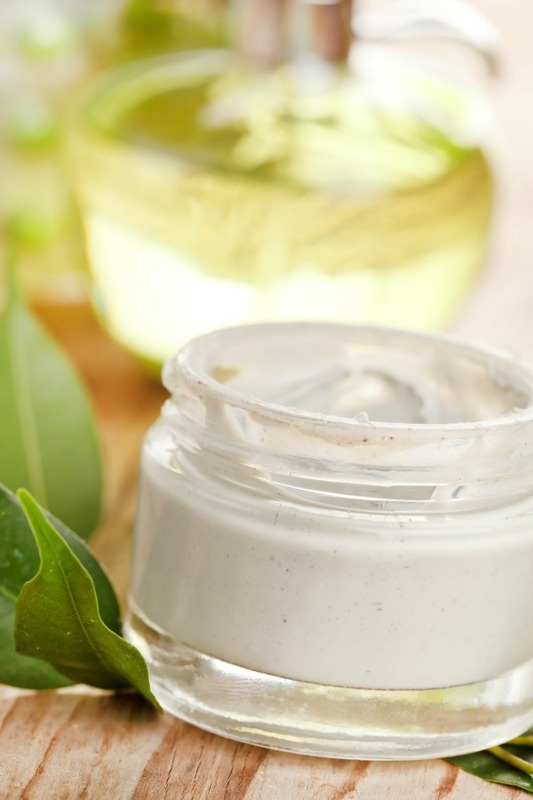 Which essential oils are best for my skin type? I’ve been using essential oils in my skin care regimen and DIY skincare recipes for over 10 years and I swear by them. I have a few go-to essential oils for skin health that I like to rotate, but my absolute favorite for my skin is Frankincense essential oil – it’s done wonders for my skin!!! There are many great essential oil companies out there (and some not so great ones, too). I’m not affiliated with any of them, but for those wondering what I personally use….I use THIS one and I love it. 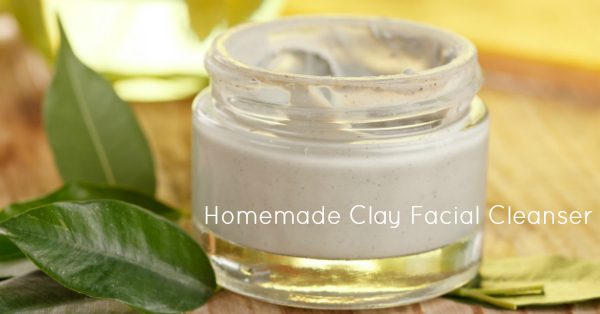 Homemade Clay Facial Cleanser Recipe for all skin types! Face cleanser and daily gentle exfoliator, all in one. Mix clay and oil (using a non-metal utensil) in your glass jar until smooth. Stir in essential oil, if using. To use: apply a small amount to your fingers and rub in circular motions all over face. Avoid getting in eyes. Rinse off with water and pat dry. *Use Bentonite Clay for acne-prone, oily, combination or normal skin. Use Kaolin Clay for sensitive, dry or mature skin. 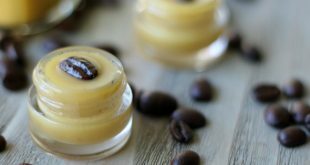 I use THIS homemade coffee bean face oil as a moisturizer after cleansing - LOVE it!!!! Awesome article! I’ve heard before that frankincense essential oil is great for the skin and was wondering if you think a specific variety is best, or do you think that any variety would work well? Thanks! Thank you, Emma! I just love talking about natural skincare!! 🙂 Frankincense Frereana (Botanical name: Boswellia frereana) is the variety that is most praised for skin rejuvenation properties. That’s the kind I use! Can Sonnes Bentonite Clay be used in this recipe? ok, this is going to sound really vain, but . . . will using this gentle exfoilation take away my tan? I spend quite a bit of time outdoors and like the “sunkissed” look that I have. I know what you mean, Junieb – I love my skin kissed glow, too 🙂 It hasn’t taken mine away! Thank you for another beautiful recipe. Quick question. Are you supposed to put it on dry skin or moist? Tried it both ways. The dry skin works better for me too. I’m in love with this face wash. Thank you!!! This sounds great! I love rosehip oil, and I always have bentonite clay on hand. Totally agree with you about gentle exfoliation making a difference in the quality of your skin. Can’t wait to try this Kelly….thanks! Amazon says the Kaolin Clay is unavailable. Do you recommend another brand or retailer? Thanks! I’m not sure if Kaolin clay can typically be found locally at a health food store or another type of store….perhaps anyone else out there could help answer that for us? Hi Kelly – I’m going to try this, but I’m wondering – do you use this only once a day, or twice? Morning, or evening? I’m guessing that we should avoid the sensitive eye area? By the way, I’ve been actively using your exercise routines for a few years now. Would love to see new ones! Hi there. I would suggest once per day and avoiding eye area. Cool recipe but I’m wondering will this clog my bathroom sink or shower drain? After all it is clay. My dads always told me not to use clay face masks or mud masks in the bathroom, do you take special sink precautions or have any tips? That is a really great question, Cammi (sorry it took me so long to respond – we were on vacation and I am just now getting all caught up on comments!). I can’t say for sure, other than my personal experience, and I definitely understand the concern. I’ve been using clay for toothpaste, face masks, body exfoliating, hair masks, foot masks for going on just about 10 years and I’ve never had a problem with the pipes so far. I don’t take any special precautions other than rinsing and washing it down with a lot of water. If anyone has any further insight on this, please let us all know! Hi Kelly, this looks great. I can’t wait to try it, but I was wondering if you can use any other oil except from Rose Hip? Thanks. Take care. Yes, any other oil that you love will work great! I’ve been using the Glam Glow clay mask and I love it but it’s getting too expensive!! This is a great substitute, thanks!! Hi Kelly, I have always relied on store products, but this recipe has sparked my interest. I will definitely be trying it out as I am in deep need of a facial cleanser. Thanks for the recipe! I will definitely share this with the community of beauty lovers on an app called Veleza. 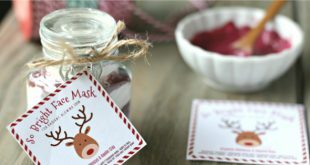 Hey there I have been looking for a way to make a clay mask I can sell from my craft fair booth. Can’t seem to find a recipe that isn’t just clay and water which won’t keep for very long. I’m wondering could you potentially use this as a mask? Also do you have any idea how long your clay wash lasts when stored properly? Also, the shelf life on this is really long – it’s as long as the expiration date on the oil that you use! Good luck at your craft fair!! Are you suppose to mix the clay with the correct water ratio then add the oil…or is it just the powdered clay and the oil? ‘Y consistency doesn’t seem right! Just powdered clay and oil! That would be a great idea for your skin, Sheri! hmmm…..I made this and it seems that I did something wrong, but I followed the recipe exactly. As soon as I put this on my face, it clumped up and fell off. (I was a good consistency until I put it on.) I thought I’d try adding a bit of water, but that just made it worse. Any suggestions? Hmmm…I’m stumped, too, Sue! I’m so sorry it clumped on you. I wonder if there’s not enough oil for some reason or if it maybe wasn’t mixed well enough or maybe some water got into the mix? I’ve never had it do that to me before, so I’m a bit stumped. Anyone else have this experience? I had that issue also. I now put it on before I jump in the shower (my face is dry) and it works great! Water and oil don’t mix well so maybe the issue is the amount of oil used? I’m not sure but was thankful to find a solution!!! Hello! Just wanted to reply to this and say hat clumping has to do with the water. I made this scrub, used it after I shampooed, and it clumped up on me. Then I came back and looked at the comments, found this one, and tried it on a dry face: totally worked, with NO clumping! So, if it ever clumps up on anyone else, I’d say it has to do with adding too much water to the mixture, even from a wet face. Thank you all for this thread! I made this yesterday and I’m in love, I am wondering about the measurements though because mine is very runny and clay has collected at bottom the jar, should I have used a mixer? I just stirred it all together. I’ll use it regardless, just wondered if the oil should have read teaspoon not tablespoon?? Thanks a million. I am wondering this as well. My doesn’t look like the photo at all. It works well, but is difficult to use. I love this, and am just trying to make it easier to use. Can you combine essential oils? Like geranium and frankic nose for my 60-so,thing skin?? Yes, that would be the perfect combination! I often combine essential oils and geranium and frank are great ones to combine. 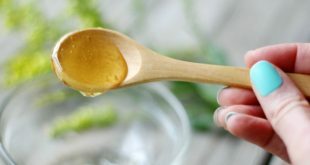 Hello Kelly, thank you for the recipe – do you think it is going to be okay if I add a tablespoon of glycerine in it as well just so that it has soapy enough and it probably will stick better on the face as well because of it? Hi! Tried this facial cleanser and its amazing,my acne marks are almost gone. Thank you for this recipe. Just wondering how long is the shelf life for this recipe? Hi Romariko, so good to hear of your success! Since we used no water or water based ingredients, the shelf life is as long as the expiration date on the oil you used – typically 1-2 years! Although, I’ve found that the consistency isn’t as smooth after about 4 months. I have been making a facial cleanser out of 1/2 cup powdered goat milk,1/2 cup chickpea flour and 2 ts turmeric.While this works good, I would like to make it bit more powerful by adding some bentonite clay.Do you think this could be added to my powdered cleanser and how much?I have about 1/2 cup left,and use 1/2 ts every time I wash my face,only at night time though,where I add a couple of drops of water and rub it onto my face.Thank you. Thank you. I about 2 tb and works amazing.I added some tea tree and manuka essential oils. 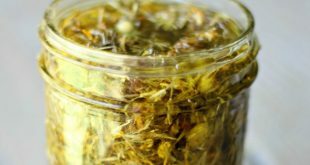 Yes, you can definitely substitute the rosehip with your favorite oil or oils! Awesome recipe I make mine using bentonite clay aloe Vera and castor oil it feels so refreshing and fades my marks I’ll defintely have to try this I thought I was the only one who discovered clay as a cleanser! Hi, thanks for the recipe, I would like to try it, but I have Jojoba & not rose gip oil. Do you think I can substitute? Yes, jojoba will work wonderfully! Hi Kelly thanks for this wonderful recipe.. Do I have to put it on my face for a couple of minutes? or do i have to rinse it off immediately.. I rinse it off immediately, but you could definitely leave it on for a few minutes, too! This sounds like a great recipe! I can’t wait to try it. Would you recommend to mix both kaolin and bentonite together? Yes, you can do that to get both of the clays benefits or you can just choose one that best suits your skin! Enjoy, Doria!